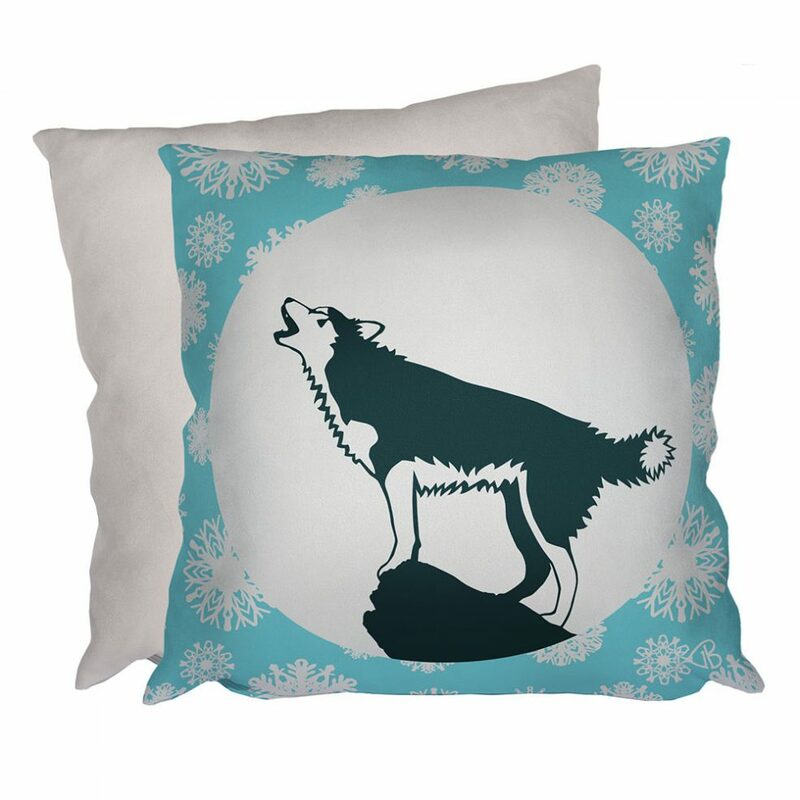 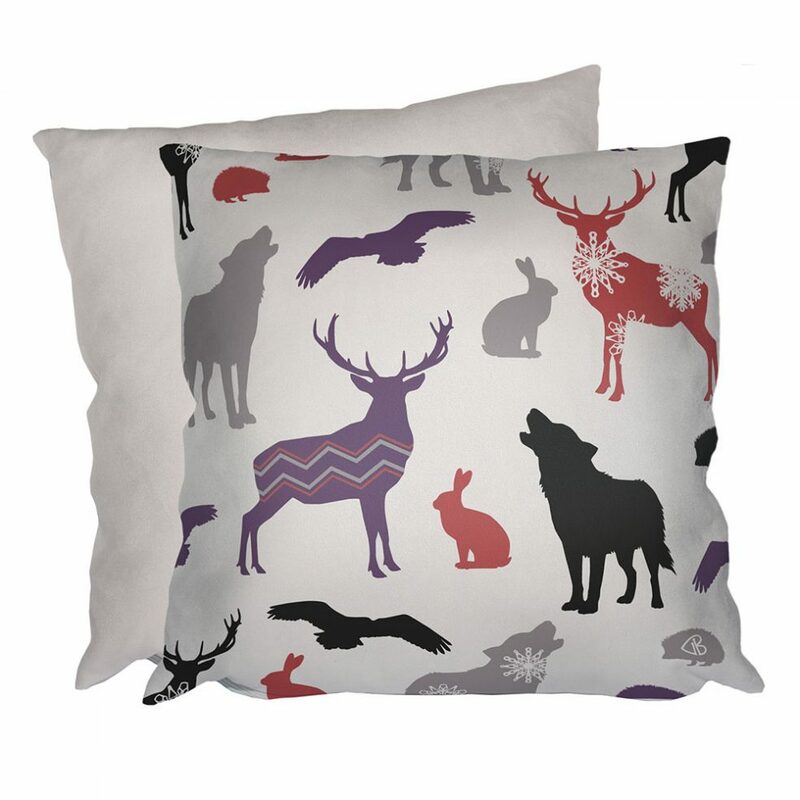 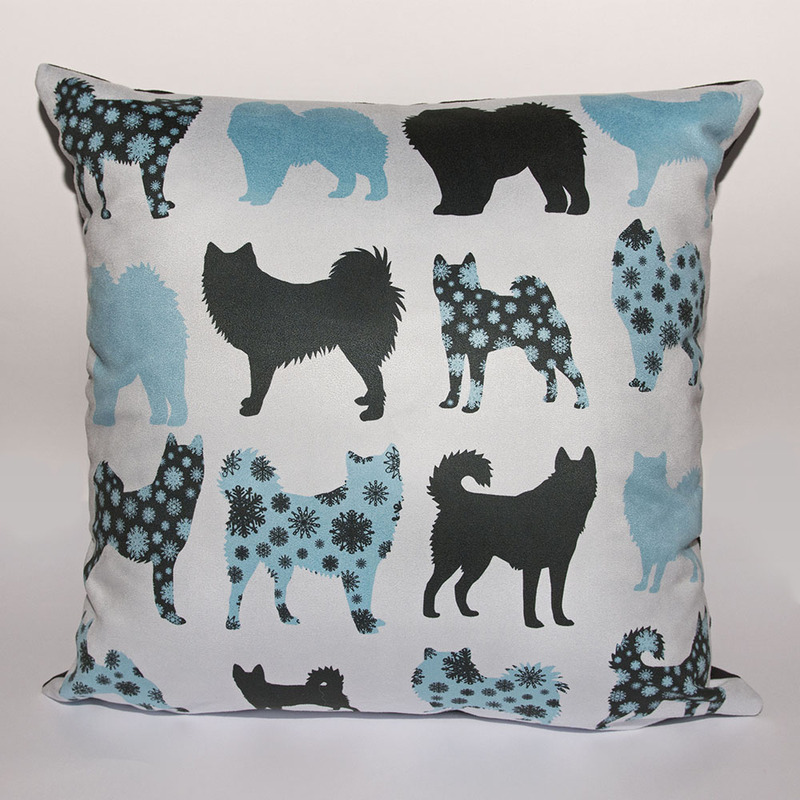 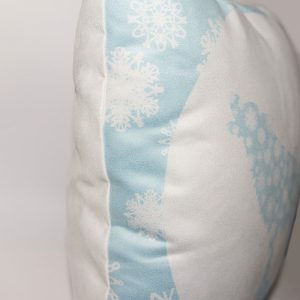 The cushion depicts 9 different northern breed dogs in blue and black, with a black back fabric. 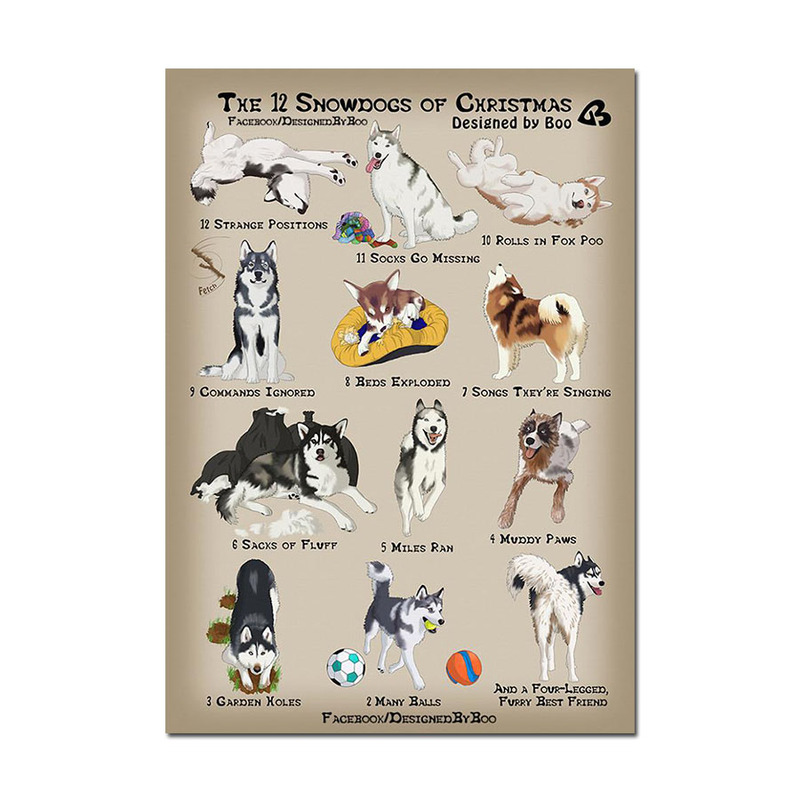 Siberian Husky, Alaskan Malamute, Akita, Chow Chow, Alaskan Klee Kai, Samoyed, Keeshond, Shiba Inu and Finnish Lapphund. 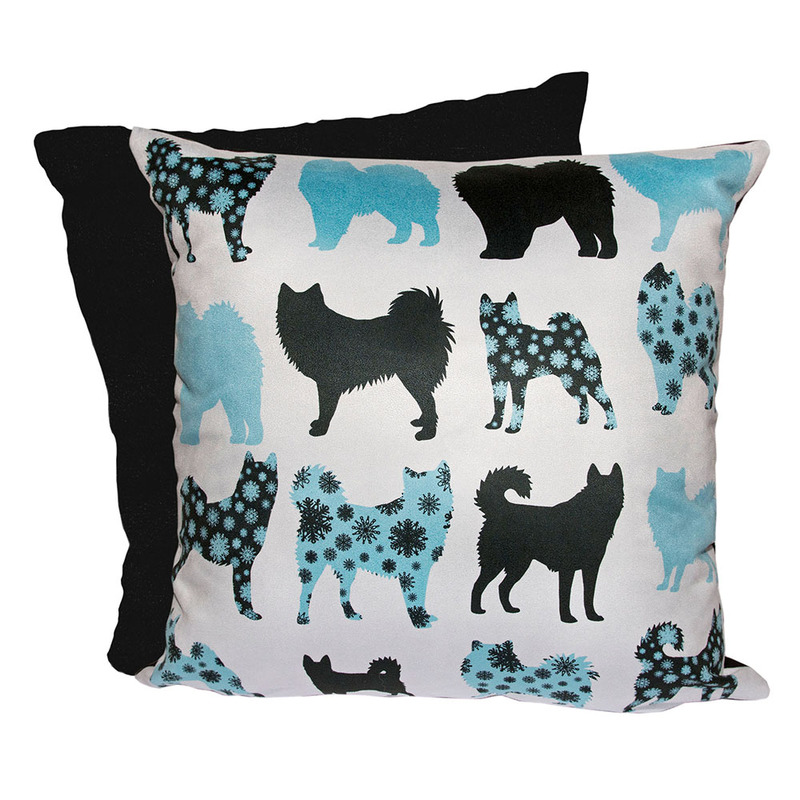 The reverse of this cushion is black.